Let me preface this by saying I sincerely hope my friend, Ann, does not read this entry. She says she reads my blog, but I think that most days she does not read my blog, so I am hoping that this is one of those days. Let me begin at the beginning. Like most people, I started the New Year thinking that this would be the year I got all healthy and slim and fit. Of course, I believed that there must be some type of kitchen gadget that would help me accomplish this. The more I thought about it, the more I knew what I needed to be fit and slim and healthy was a juicer. I did my due diligence for a juicer. Picked out the one I wanted, which was more money than I wanted to spend. I went on eBay and found that by the time the shipping was included, the used eBay models were more than the new amazon juicers. Then I found a reconditioned juicer and I added it to my wish list as I tried to decide just exactly how healthy I wanted to be. Then the cheap, recondition models sold out. Then the new model sold out. Then I began to worry. 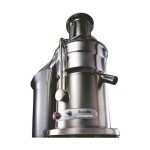 I mentioned this to Ann (remember, do not tell her about this post) my juicer dilemma. Ann believes in being proactive. So she bought me the juicer for my birthday (which is a couple of months away, but Ann has never been wedded to celebrating actual events on their actual day. The good thing about this for me, not Ann, is that she often FORGETS that she bought you something for a specific day, months before and then buys you something else for the actual day). So I got my miraculous juicer for health and fitness. Let me just say, boy does it juice. Stuff any veggie into the magic tube and in seconds it spits out a thick, rich juice. It was wonderful. I juiced every day. I went to the dark side. I thought, what if I juiced a nob of horseradish into the juice, added a splash of celery bitters and a generous supply of vodka… yes, it would not be a bloody Mary but a Greeny Lucinda. One would never drink a Bloody Mary again. In fact, you could hold one of these in your hand and stand in bathroom mirror and chant Bloody Mary over and over and remain safe from ghostly possession. Toss all the ingredients into a large container and stir until all the flours seem to be incorporated --you have a shaggy, stick mess. Let the dough sit in a warm place for an hour or two and then put in the refrigerator and allow to sit overnight. Remove dough from the refrigerator. It will be a very sticky dough. Lay a sheet of foil or parchment paper on a tray or plate, as this will facilitate moving the dough to the oven. Dust your hands and the workspace in flour. Pull out half the dough and work it into a ball, adding just a bit of flour to keep it from sticking to your hands. Place the ball on the floured workspace and cover the dough with a cloth; let it rise for about 1 hour. After 45 minutes have passed, place a covered Dutch oven into the oven and preheat oven and pan to 450 degrees. Carefully remove the pan and open it. Dust your hand in flour again and invert the loaf into you hand, removing the foil from the bottom. 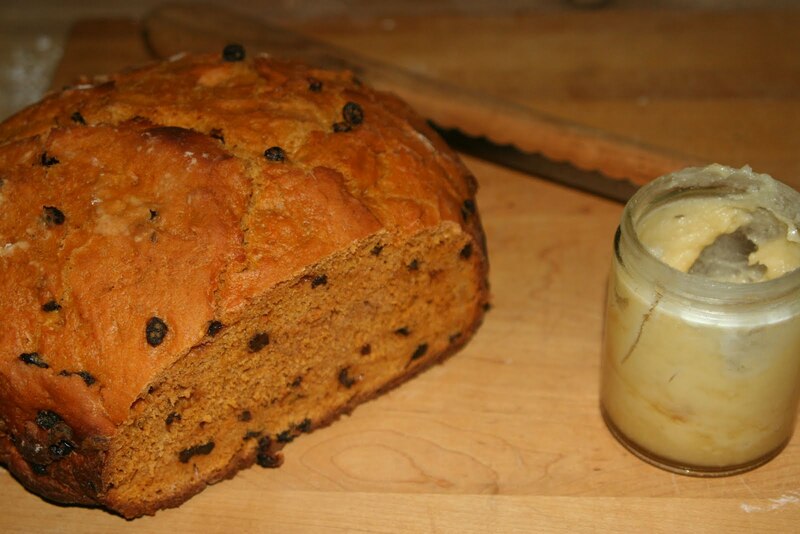 Drop loaf into the Dutch oven. It doesn't have to be fancy, just drop it in. Cover with the lid, return to the oven and cook for 45 minutes. Remove from the oven and let sit for 30 minutes. Remove the bread from the pan. The only 'cooking' that goes on at my house is the making of toast, so I think the bread part's out, but I really like the idea of using a juicer for cocktails, especially one that's new & green. Spinach & celery, in fact, are two of my top-three vegetables--cucumbers being the third--so I could definitely get into something that sounds as pretty as a Lucinda. But I think we need a picture. And since you've christened it, you get to call out the correct glass. Try fresh ginger too. My old juicer was so messy, I ended selling it in a garage sale. Now, I wish I had another one. You ar so funny. Praise to the creative juicer! Love all your ideas. Most fabulous use ever - it's 9:30am and I'm craving a drink AND a slice of that bread. Honey butter -HEAVEN! I can't stop smiling! So funny. Thanks. M.
this recipe will make a lot of people happy this year!